Who will sail with us on the Wadden Sea, the IJsselmeer, or the Frisian lakes? Are you looking for a place to stay with family or friends? The Boreas is in Amsterdam during the winter! "Who will join us on an adventure to the Wadden Sea, the IJsselmeer, or the Frisian lakes?" Our ship goes where the wind blows! Where do we sail our tjalk? During a weekend or week of sailing, we can visit various places or we can even dry out on the shallows. Tell us what you would like and we will see if the wind and the weather make it possible for us to fulfil your wishes. 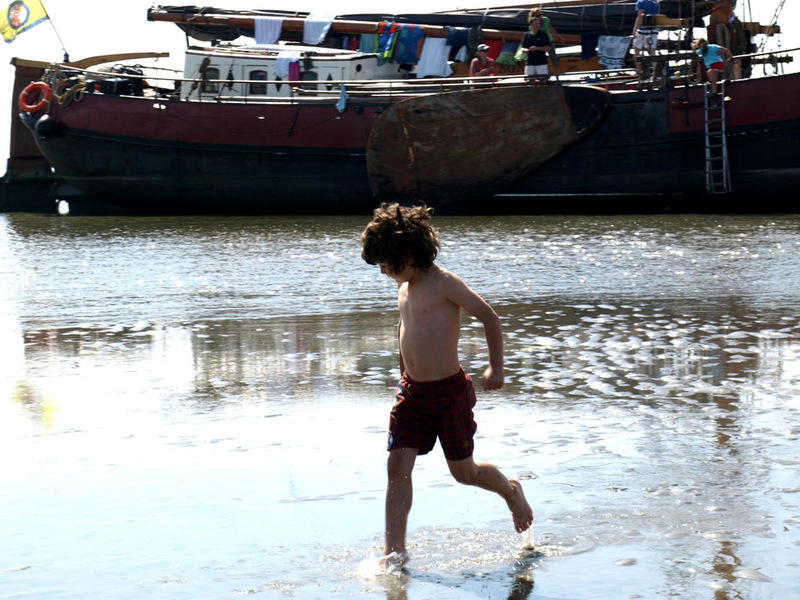 Our boat has a flat bottom, which means that it can go nearly anywhere in the Wadden Sea. You can see a number of examples and photographs of trips we have already made below! Get inspired. 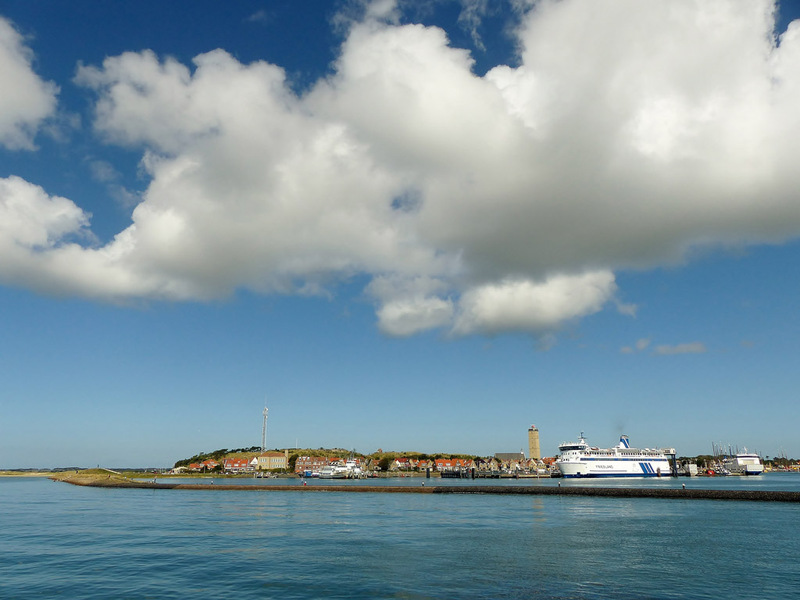 Depending of the weather and the wishes of our guests we sail the Wadden Sea, the IJsselmeer, or the Frisian lakes. In the winter we for rent in Amsterdam as a hotelboat. Sailcharter Boreas is very suitable to sail with groups of people. Groups of friends, family, children,associations or colleagues. What is more magic than being moved by the wind? Children really enjoy being on the ship sailing the sea. Running dry on the shallow is such an unique experience. It is so quiet, you can see seals, go looking for shells or just enjoy a swim. Do you want to learn to navigate on the Waddensea? Inquire with Sailor Henk for the possibilities. LEARNING HOW TO SAIL ON THE SHALLOW? 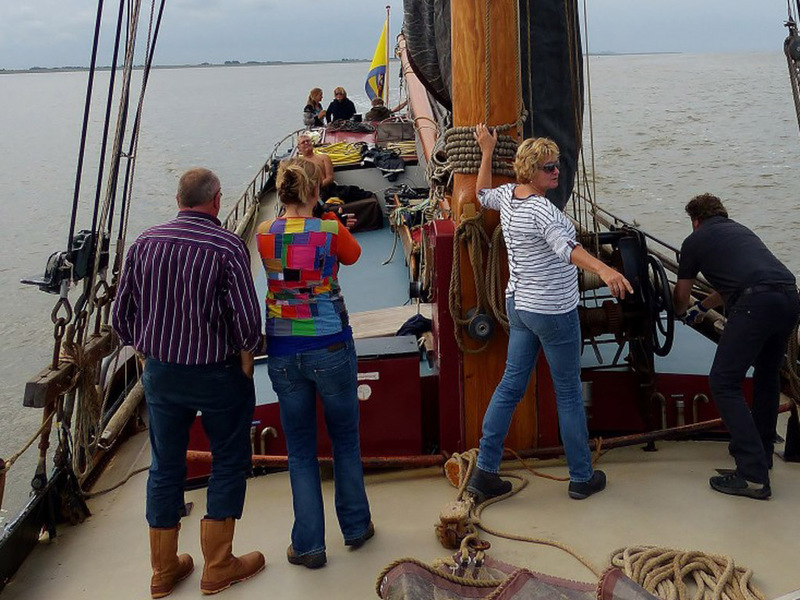 What does it mean to sail on the Waddensea? How do you take into account the tides,streams and wind? Inquire with Sailor Henk for the possibilities.